Living in the desert means that life is quite miserable after June 1st. It’s not possible to even consider the living without air conditioning. However, dealing with two to three months of electricity bills over $400 isn’t ideal, either. 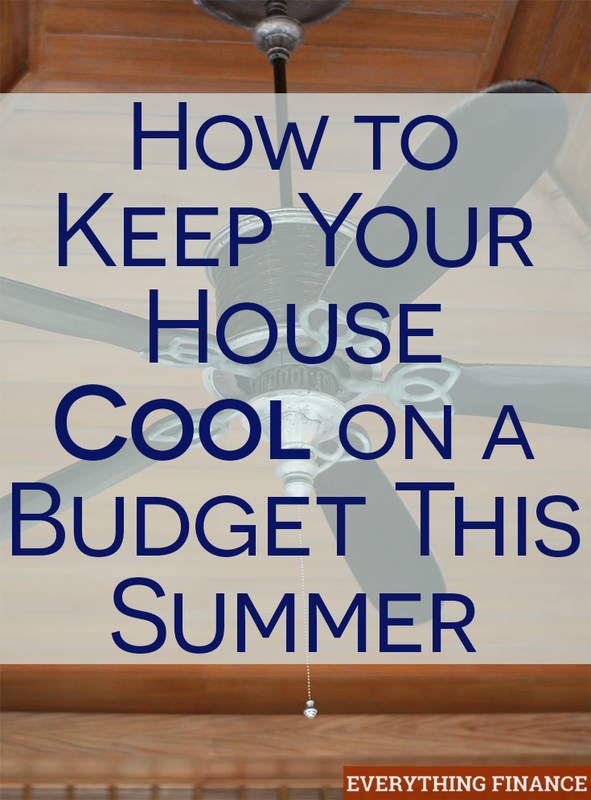 Here are some easy ways to stay cool on a budget this summer. An energy-saving individual air conditioning unit can be utilized to save money. A good one costs less than $200 and can fit into a small window for the summer months, all you need to do is to read a Guide to Finding the Top HVAC Contractor. You can either use it in the main room where everyone gathers, or in a window that opens up to a hallway. We’ve placed our small unit into our guest bathroom window, which may seem like an odd place. However, that bathroom opens up to our main hallway, which then connects to the rest of the home. Blasting the unit costs a fraction of what it costs to run the main unit, and with the use of a floor fan, the air easily circulates throughout the rest of the home. It might also be worth looking into setting up a ceiling fan in your living room if you don’t have the wires connected already. These can help circulate the air even further. If your energy company offers incentives for reduced power days, sign up for them. Even though my girls and I stay home all day, we still take advantage of as many days as we can. It usually means the girls are in their diapers and all the fans are blasting, but the rebates make a noticeable difference on our energy bills at the end of the month. If you get cool and breezy nights, open up every window and allow the cool air to circulate. Close all of the windows and shut the blinds and curtains early in the morning. This should keep your home cooler longer in the morning. If you don’t already, wash your clothes and linens in cold water. If you have stains you need to wash out, try a pre-treatment spray or a mixture of hydrogen peroxide and Dawn dish washing soap to treat the stain. If you can hang your laundry to dry, then you’ll save on energy costs and keep your home cooler. If you don’t like that crunchy feeling that can sometimes result from hang drying, you can toss your laundry in the dryer for a quick 15 minutes to freshen it up. The easiest way to keep your house cool is to forgo using the oven or crock pot. Stick with cold and simple foods to keep your grocery costs and electricity bills down. The best summer meals to prepare are skewers, grill packets, and filling salads. If I have to bake something in the oven, I try to do so in a smaller dish and cook it in our small counter top oven. This way, we can still enjoy a home cooked meal, but the whole kitchen isn’t roasting. My absolute favorite way to save money on electricity during the summer is to spend more time at other people’s homes and affordable places. For example, I’ll be taking advantage of my local theater’s dollar kid shows and our library to enjoy icy air conditioning for a few hours. Also keep your home looking good, for example Madani Group can help to paint your house. So if you want to sell your house then you can ask a good price. How do you save money on energy costs during the hotter months? Is a Kirby Vacuum Worth the Price? Is Tiny House Living for You?